Can you answer the question on theological grounds? If you have been a Christian for any length of time you certainly have come across some arguments that have caused you to question the validity of your belief system or caused you to want to dig deeper into the truth. Ah, but what is “truth”? 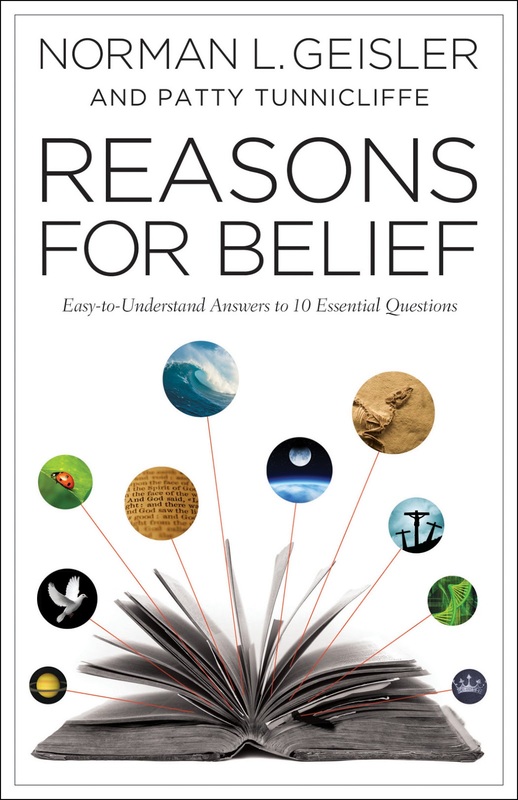 In Reasons for Belief : Easy to Understand Answers to 10 Essential Questions, Norman Geisler and Patty Tunnicliffe set out to address every argument that sets itself up against the tenets of the Christian faith in this well organized, methodical, apologetic read. With the accuracy a focused detective, forethought of a defense attorney and the critical thinking of an apologist, Geisler takes on the skeptical, philosophical and logical questions one chapter at a time. The book is very well organized, presenting arguments and challenges then breaking down each aspect. Critical thinking and clear logic is presented from the very first chapter. There are helpful charts and blocks throughout which support points, compare perspectives, and present additional helps, references and scripture relevance (as appropriate). You can read an EXCERPT here at Baker Publishing. Visit Bethany House and check out the book. Check out Norman Geisler’s WEBSITE. I received this book from Bethany House for reviewing purposes. The thoughts and opinions expressed are my own.